Love comes in all shapes, sizes and colours, which is why Carluccio’s is spreading the amore further this Valentine’s Day. 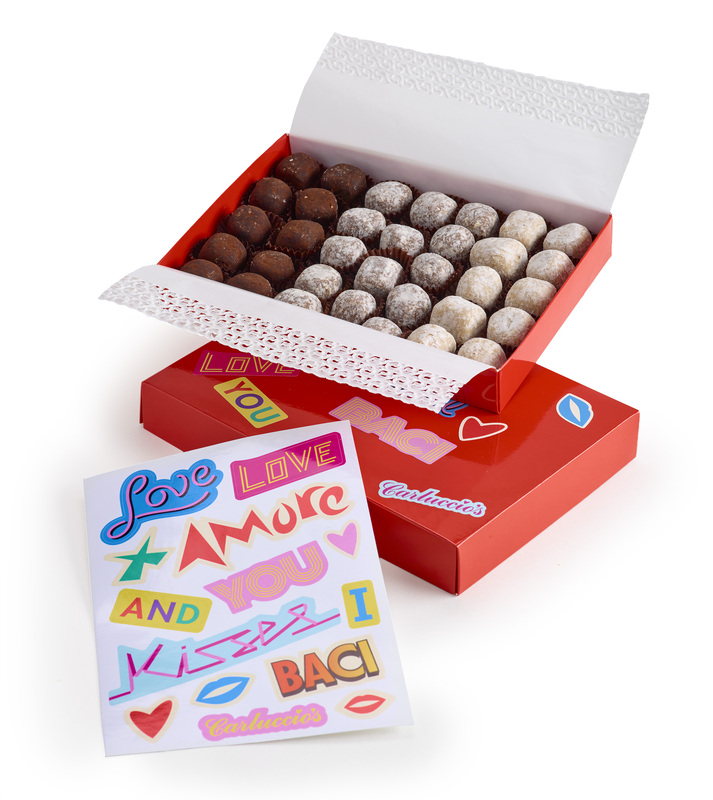 Celebrate the day of love with a sweetheart, family or a best friend by poring over a chocolate-lover’s dream of smooth gianduja, moreish biscuit kisses and the classically-elegant chocolate rose, encased in gift set graphics inspired by iconic Italian brand Fiorucci. 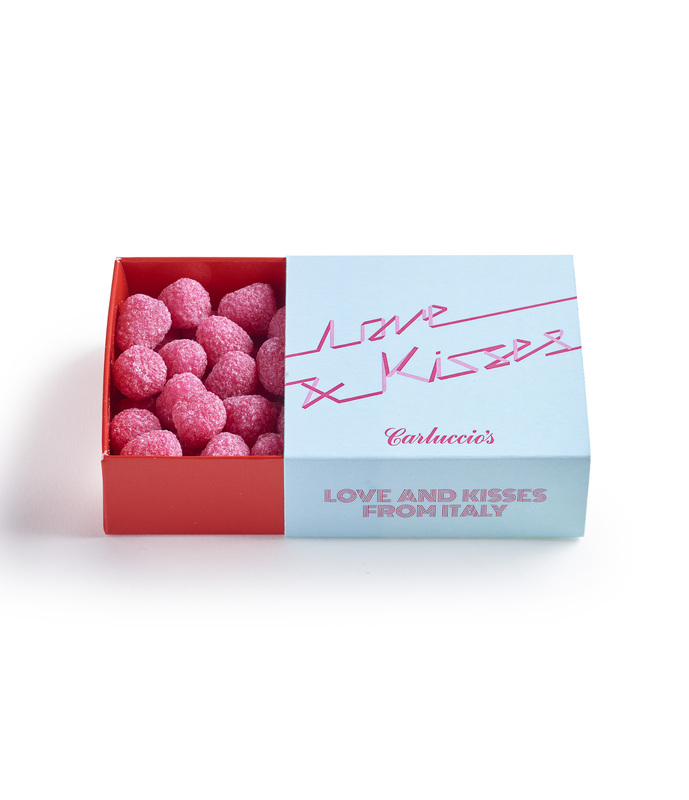 Carluccio’s Valentine’s collection has received an injection of Eighties nostalgia with neon lettering, graffiti prints and sharing boxes decked out in clashing neon hues or dreamy pastels, paying homage to the decade’s most sought-after colours. Handpicked from Carluccio’s much-loved artisan producers dotted throughout Italy, gifts include the Mixed Truffle Box (£12.95) complete with graphic pop-art stickers for customising the case, bite-sized Heart Shaped Chocolate Confetti (£6.95) and fruity Fragoline Strawberry Fondant Drops (£6.95). Better still, book a candlelit dinner for one, two or all your Valentines at Carluccio’s and savour authentic Italian flavours for only £19.99 for three-courses. Carluccio’s Valentine’s Day range is available throughout its UK-wide restaurants or from the online gift shop at carluccios.com from 24th January. Italian food may be the most romantic in the world, but it’s the Mediterranean flavours and convivialità that send us head over heels for the Italian way of living well. Between 9th February – 14th February, Carluccio’s three-course Amore Menu, priced at £19.99 per person, offers a taste of regional cooking with dishes made for sharing – in true Italian style. Begin with a glass of sparkling pink blush Ferrari Rosé (£6.95/£37.50) or a Milanese G&T (£6.95), a twist on a British classic from Northern Italy using Bombay Sapphire gin, a splash of Campari and topped up with tonic water. Select from starters including a deli antipasto sharing board for two; mains of indulgent seafood linguine with blue swimming crab, mussels, prawns and clams; finishing with a love pot for two filled with chocolate mousse, ice cream and macaroons. For £3 extra per person, add an Italian pick-me-up coffee and a two chocolate truffles – bellissimo!